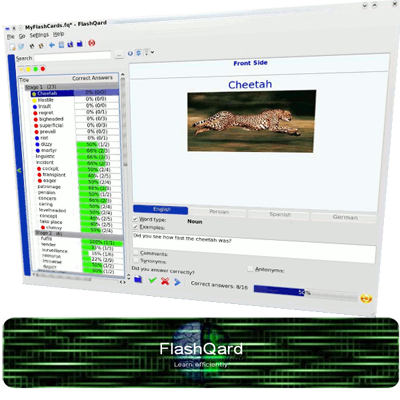 FlashQard is an educational software to improve your learning process. 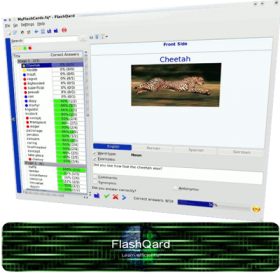 This memorization tool lets you create "different card types for different purposes," such as maps for geography training, vocabulary cards for learning scientific terms, photo cards, etc. It uses the Leitner System to present cards in an order that will optimize learning without wasting time on cards you already know.